Pearson's Comprehensive Medical Coding is the recipient of the Most Promising New Textbook Award from the Textbook and Academic Authors' Association. 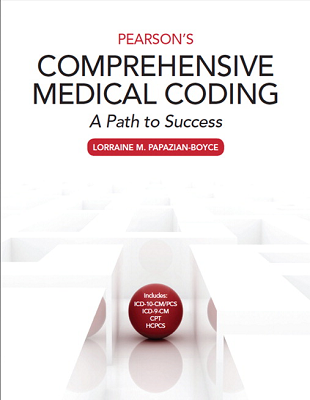 Pearson's Comprehensive Medical Coding: A Path to Success offers comprehensive coverage of all code sets (ICD-10-CM/PCS, ICD-9-CM, CPT, HCPCS) and can be used for three coding courses: diagnosis coding, physician procedure coding, and inpatient hospital coding. Designed to give readers a strong foundation in essential competencies, Pearson's Comprehensive Medical Coding organizes chapters around three basic coding skills—abstracting, assigning, and arranging codes. Students are guided through the entire coding process in each chapter. Flexible in its organization and progressive in its numerous exercises of varying levels, the book is appropriate for traditional, modular, linear, and wheel courses. Guided Examples teach the coding process, while Mini-medical Records help students learn how to identify and abstract pertinent information from medical documentation. Throughout the book, superior in-text features provide a clear learning path to student success. 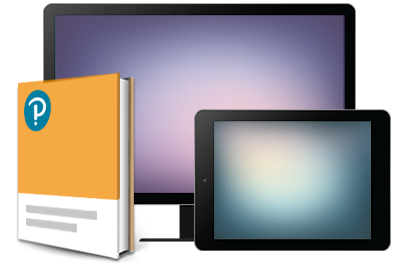 This title is also available with MyLab—an online homework, tutorial, and assessment program designed to work with this text to engage students and improve results. Within its structured environment, students practice what they learn and test their understanding to help them better absorb course material and understand difficult concepts. Comprehensive content spans the entire MIBC curriculum, allowing instructors to customize their course and providing students with a consistent learning experience across the program.